From the infamous Shark Knife to the slew of hidden knives, we’ve covered an array of interesting knife designs on this blog. One thing we haven’t really touched on are bizarre blade shades. 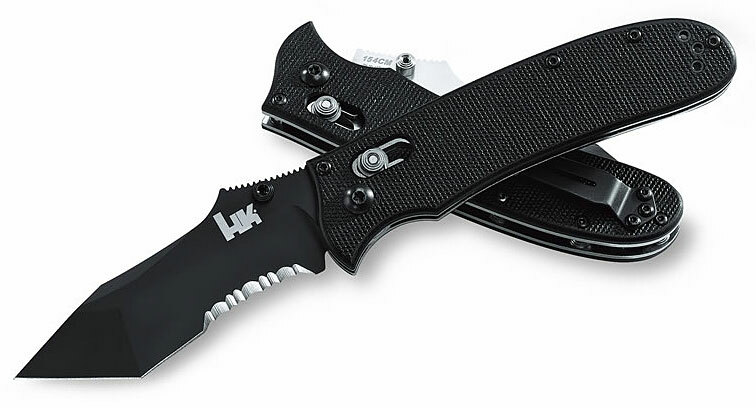 Sure, various novelty knives like the Scorpion Knife qualify for this post, but we decided to bring you only real knives that are functional—or at least were meant to be functional. In the world of bizarre blade designs, the Microtech Jagdkommando is one of the kings. This blade has three razor-sharp edges that twist into a point. This knife was criticized by many for the fact that it has almost no functional use, except for hurting someone… and hurting them very badly. Still the blade design is novel and interesting to look at. 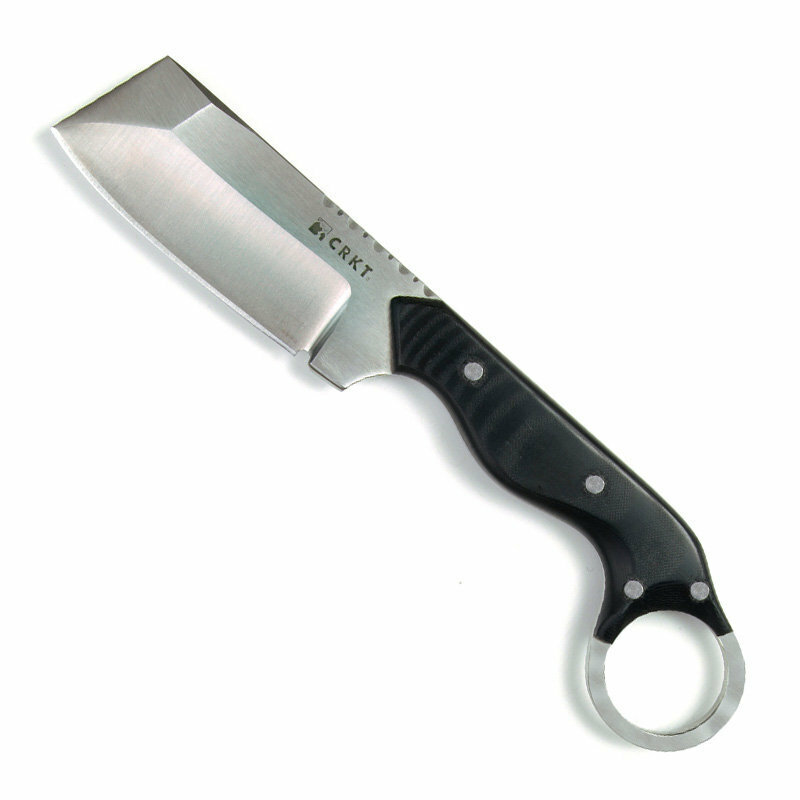 I hate to say it, but the CRKT Razel has an ugly blade. Don’t get me wrong though: the blade is highly functional and downright useful. Anyone who’s owned the knife loves it and the chisel point makes it really versatile. It’s not something you would ever put on display though. The KA-BAR Warthog is not outrageously designed but it’s pretty distinct. The belly of the blade is deep and the whole thing is very short and stocky. Dark Ops makes some really badass knives and the blade on the Vindicator falls squarely into that category. The blade has a nice deep belly, a broad point and serrations at the top. You can get a Dark Ops Vindcator here. 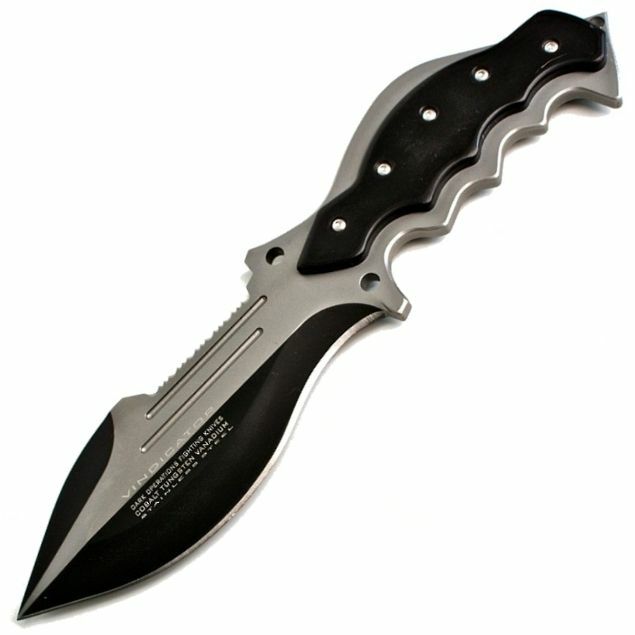 The second unique blade design on this list from Dark Ops comes from the Interceptor. 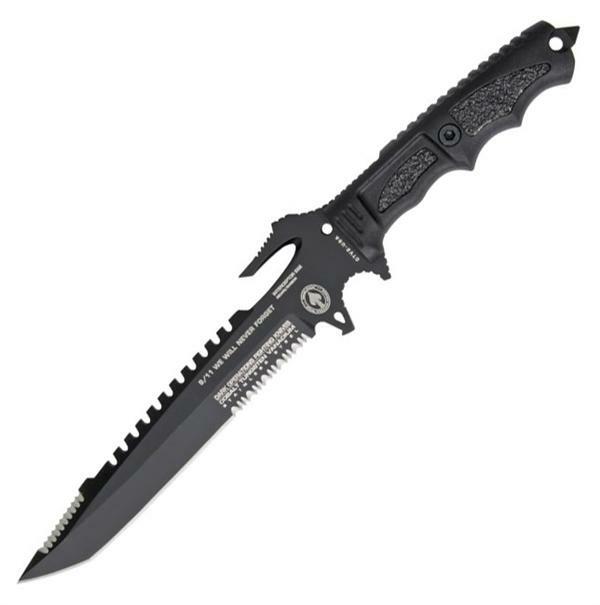 The 8.625-inch blade has a combination tanto and spear point and a choil-notch, Splitter Hilt, backsaw, extended serrations and more. There’s not much more you can pack into the blade of a knife. Get your Dark Ops Interceptor here. 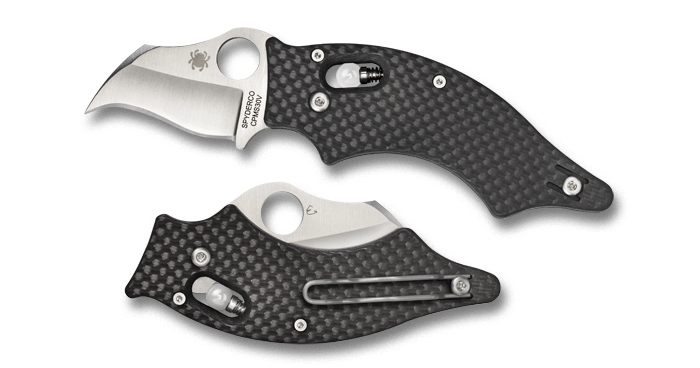 Spyderco knows when it has an ugly knife on its hands and in its own description wrote that sometimes you have to judge a blade by its ergonomics and design rather than look. The blade has a downward-pointed tip, a curved belly and less than two inches of cutting edge. As you can probably guess, the Spyderco Dodo went the way of the Dodo and was discontinued. The blade on this Benchmade is downright wicked. 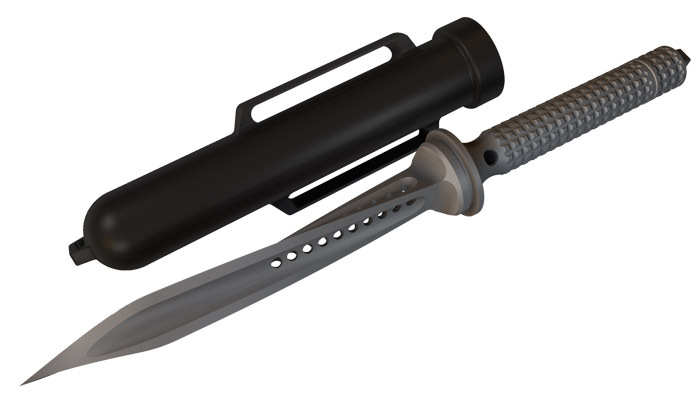 Billed as a modified tanto, the blade features a nice recurve, serrations and awesome-looking jimping. Back in 2005, the Kershaw E.T. won the most innovative design award for its original folding mechanism. The blade itself is a modified drop point with partial serrations. What makes it stand out is the carabiner built into the back of the blade, giving it a strange look. 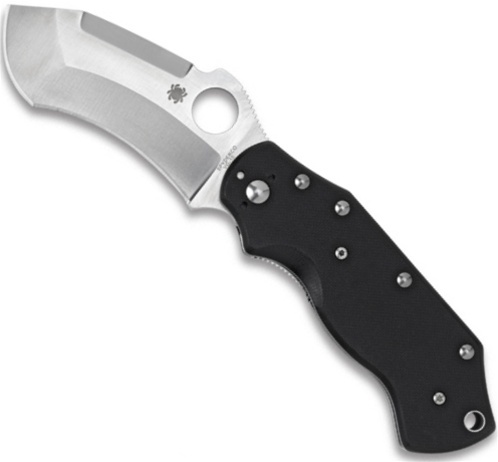 The Spyderco Civilian has a long and curvy S-shaped blade with razor-sharp serrations. The knife doesn’t make a good EDC, but it’s blade does some tasks, like self-defense, very well. 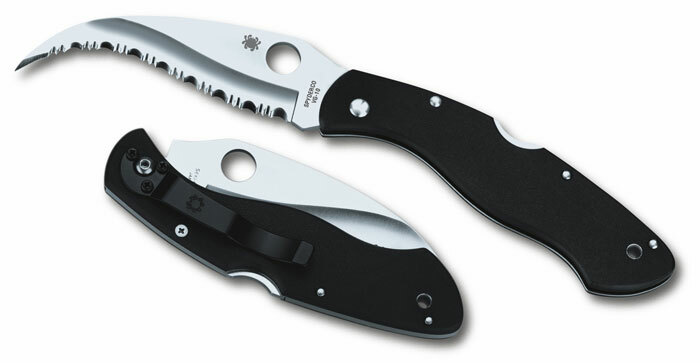 Unlike the previous two Spydercos in this post, you can still buy the Spyderco Civilian here. This post really caught my eye (i guess thats the point!). Great roundup of unusual knives, i really like the spyderco ones. Amazing! I am sure Angelina Jolie would love them. You left out the chakram!